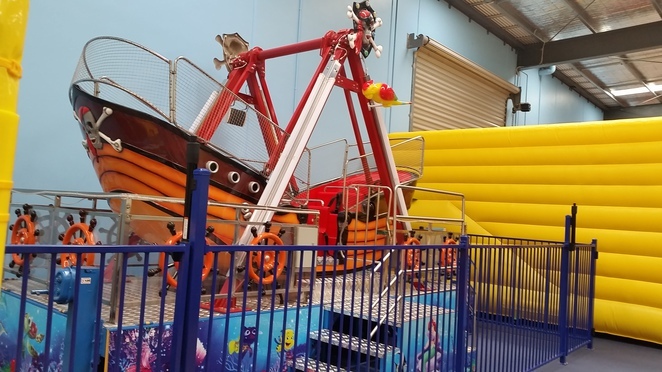 A new playland for children age 1 to 11 years old in the Northern suburbs of Melbourne. My daughter was getting a little bit bored with the play area in mall and this is another alternative place for her to play indoor in this hot weather. 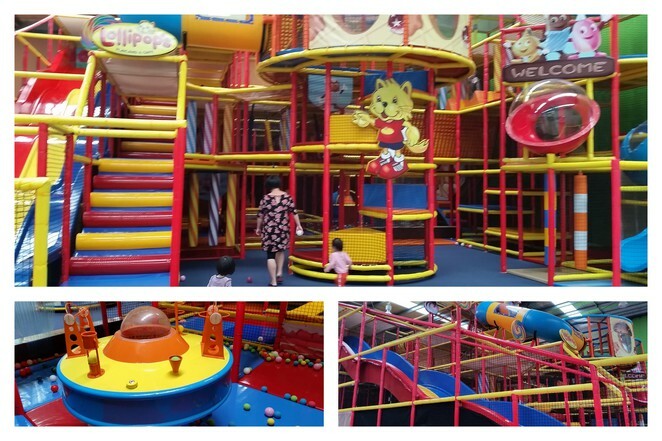 It feels safe to let the little ones run around in the well padded play area. It's pretty quiet on the weekdays hence the kids had plenty of space to play in. They allowed us parents to play with the kids in the play area too. There are 4 types of attraction in Lollipop's Bundoora. 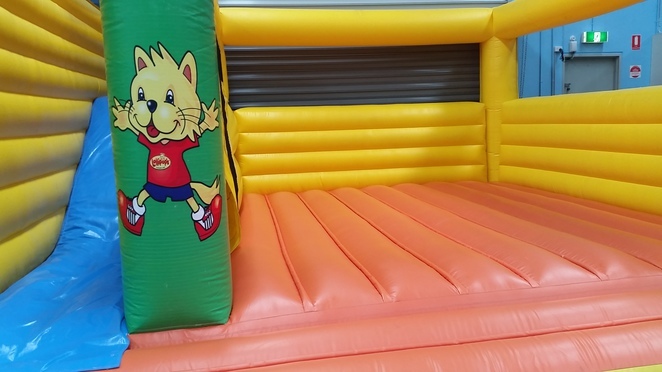 A toddlers area for 1 to 3 years old with ball pools, a pirate ship which run on hourly basis depending on the crowd, a bouncy inflatable with slide and a multi level play area for older kids. 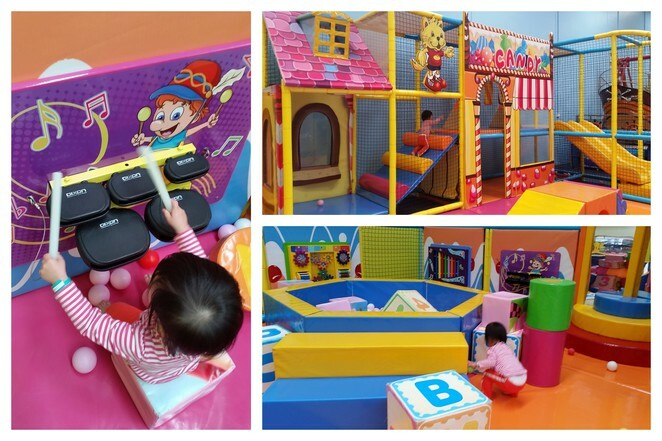 Although Lollipop's is a franchise business, each centre is different from the other in terms play attractions. 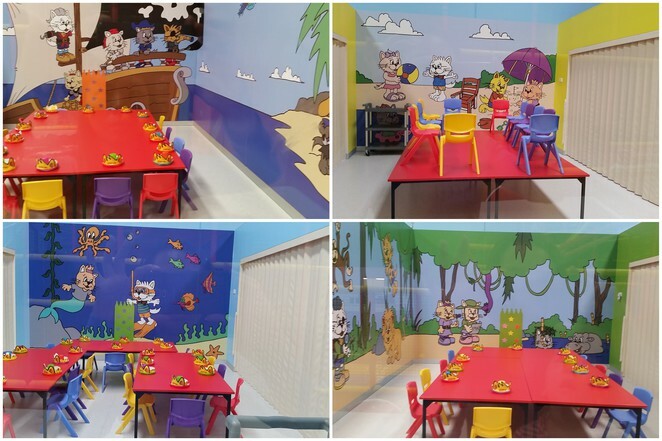 They have 4 party rooms with different theme painted on their walls for organized birthday parties. The party packages range from $169 to $309 for 8 kids. 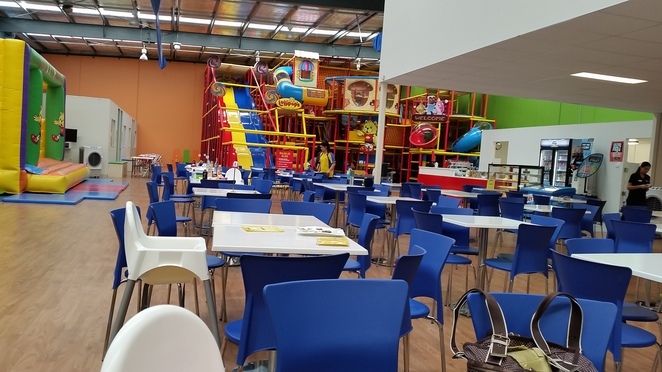 They have a large seating area in the cafe with a clear view of the play area. They do try to serve a range of food such as salads, chicken schnitzel, fish & chips, foccacias and wraps, pizzas and pies although on a glance it doesn't look like a lot of choices. They do not allow outside food. Entry prices are charged according to age and School day and General Entry for weekends, public holidays and school holidays. Adult needs to pay an entry fee of $3.50 which include a drink voucher. There is no time limit on stay so kids can play as long as they want. For security purposes and parents peace of mind, each child and parent receives matching ID wrist bracelets to ensure children cannot leave without their parents. A staff member will inspect the exiting customers ID bracelet on departure to prevent any unauthorised exiting of children from the facility. Everyone is required to wear socks while in the play area. The only complain was their air con wasn't cold when the temperature soar high. You won't notice the play centre from the main road. It is located in the Graduate Business Park, 19 Enterprise Drive, University Hill (Bundoora).